Best time to go to Dubai - Weather and Climate. 4 months to avoid! 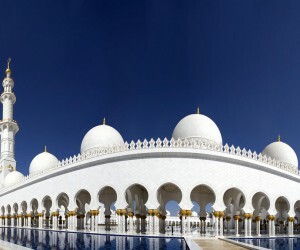 Get the most favorable time to visit Dubai in United Arab Emirates from seasonal norms, right here. When is the best time to go to Dubai? The more important question to ask oneself before visiting Dubai is "How hot it is?" From mid-October to mid-April, the weather in Dubai is more ideal with moderate temperatures and clear blue skies. For the rest of the year, from mid-April to mid-October, the climate becomes less tolerable, with temperatures regularly exceeding 37° C and humidity often hitting 95% and more from the months of June to September. It is only slightly less hot and humid in the months just before and just after the main hot season. Another issue to consider is whether you want to visit Dubai during Ramadan (the dates change every year according to the Islamic calendar). This is an exciting time in Dubai but for which companies often have limited hours during the day, many restaurants do not open until after nightfall and most bars and discos are closed. 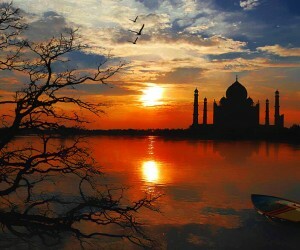 Ramadan often takes place around August, coinciding with the hottest months of the year. The peak tourist season is from October to May. December and January are the busiest months in Dubai. Hotels are quickly filled and prices are more expensive. The town is a little quieter during the summer heat, when hotels and many other services reduce prices to attract more visitors. As a separate state from the United Arab Emirates, the emirate of Dubai has a dry, desert-like climate, where rainfall is low and somewhat irregular. The weather here is characterized by two distinct seasons, hot and long, or cool and much shorter. In Dubai, the hot season is from April to November, without any type of interruption. At this time of year, temperatures range between 30 and 40° C, similar to neighboring countries such as Saudi Arabia and Qatar. During the warm season, rain is almost non-existent in Dubai, but the humidity is very high on the coast, making the heat even harder to bear. There is no actual cold season strictly speaking for Dubai, but instead a gentle season when the temperatures come down a bit. 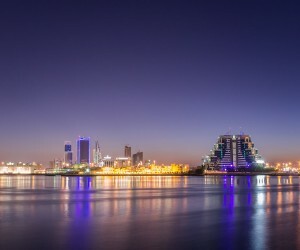 The latter extends from December to March, with a pleasant warmth revolving on average around between 23 and 28° C. Rainfall is slightly more frequent during the warm season than the hot season, but are still very rare just as in neighboring Abu Dhabi or Ajman. From january to april the climate is very good. The record temperature this month is 39°C and, in april, 1 days of rain are expected. In may the climate is correct. The record temperature this month is 43°C. From june to september the climate is very bad. It is for example 40°C as maximum temperature in september and it rains in september about 1mm. In the month of october the climate is passable, but still OK. In average, on the morning it is 29°C and you can expect to have 1mm of rainfall/month during this period. From november to december the climate is very good. the thermometer goes up to 27°C°C and it rains about 7mm each month. The chart below allows you to look at the following seasonal norms for the city of Dubai: minimum and maximum temperatures, and the monthly volume of precipitation for each month of the year. Dubai appears on the map below with a blue icon. 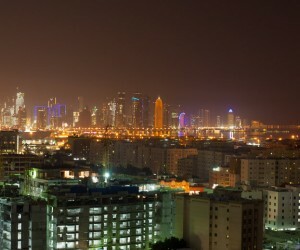 The other cities or locations in United Arab Emirates appear on the map with a black icon. Click for information about the climate.